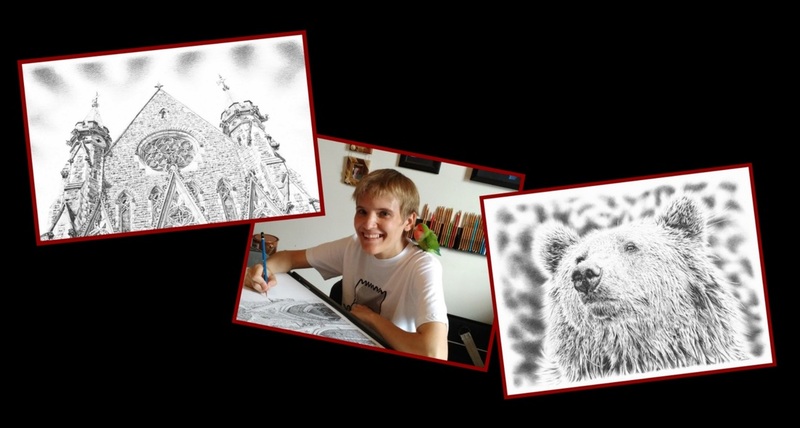 Remrov is an autistic savant and self-taught pencil artist. who specializes in photorealistic drawings of everything he finds interesting, mainly animals. Due to his autism Remrov sees the whole world differently and in tiny little details. His drawings tend to be this way too, very precise and detailed. The whole world is a very chaotic place for Remrov. When he's out in public it is very difficult for him to focus on so many details of sensory input at once. When he's working on a drawing he only has to focus on one thing, the details of his drawing. That's one reason why Remrov loves drawing so much. Remrov's experiences and lifestory have been quite extraordinary. When Remrov was younger he didn't understand anything around him, nor did he understand language. He got through every day by literally mimicking other people. At first everything Remrov said and did was copied, but very gradually he started to find his own words and language inside of himself, and he gained enough courage to express himself. Now Remrov gives presentations about autism, and he shares his lifestory with audiences of people interested in learning more about autism. Remrov also started making videos in which he shares his experiences as a person with classic autism. 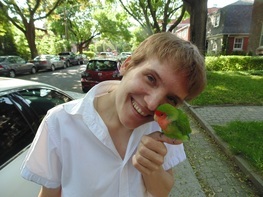 His goal is to help other people with autism and their families, and to be a voice for non-verbal people with autism.